Buying equipment is very important for customers, but how to use it after purchase, and what situations should be paid attention to? 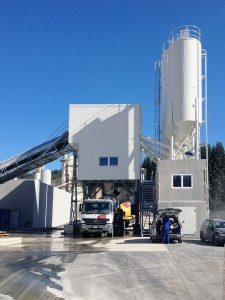 What should we pay attention to in the detailed explanation of the use of concrete mixing station by Camleway Machinery? 1. the mixing in the mixing drum for the mixer should be in the case of the machine running. The blender should not be started under the load of the machine, and it should not be stopped suddenly in the middle of the stirring. In the preparation of new materials with different proportions, the concrete inside the host should be cleaned up before it can be carried out. 2.The central control room staff must strictly execute the production instructions issued by the leader, always pay attention to the situation of the instrument index and other indication signals. Once a special case occurs, it should respond immediately, and it can be shut down directly when serious. 3.Before using the equipment, we should know the standard of all the values allowed by the equipment, and not to use the aggregate, voltage and load beyond the performance standard. 4.The equipment should run before the machine is opened every day to check the braking ability of each configuration and the normal operating system, and the normal operation can be started. 5.In the process of equipment operation, it is strictly prohibited for any person to extend the body, trunk, limbs and other parts into the machine working area. It is strictly prohibited to prohibit personnel from carrying out regional activities under the machine. 6.When the equipment is used, it should be cleaned and maintained in time, and the concrete mixer can be stirred with stone and clean water inside the mixer. This entry was posted in Solution and tagged Camelway Machinery, concrete mixer, concrete mixing station by camelway. Bookmark the permalink.